“Magdalena Moments” are what I call those times when I feel myself taking steps towards my future self. They are the times when I feel like I can get a glimpse of my true self. Last night I was soaking in my new bathtub and soaking in the loveliness of the moment. I was sending out my gratitude to the four corners of my freshly painted, beautiful blue room, and beyond. I was sending that lovely feeling out to all the others who are seeking. The ones who are searching for ways to get unstuck. The ones who are thinking that it always needs to be the way that it is now. The ones who are ready to take steps towards healing, but who don’t know how to start. When creating your magical moments, your visualization does not need to include an antique claw foot tub in an old farmhouse. Your moment can include whatever you desire. It can be anything that makes you feel good. It is best to start small. To manifest something, I was taught to start with the feeling and then watch as the details of the picture emerge. For this bubble bath moment to happen, I had to hold on to that feeling of relaxation and warmth and beauty for a long time as I waited for all the pieces to fall into place. I know that I can go to a spa (for a lot less money than a remodel), but I want ed to be able to fill a tub quickly and soak away the residue of the day after I tucked all of my kids into bed. I don’t know about you, but if I go to a spa during the day (I love birthday gift certificates) I then need to go back into the light of day and pick up the kids and do homework and dinner and… you know what I mean. And then that relaxation slips away into normalness again. So last night, I soaked away my troubles after bedtime. I sent blessings to all of my (not so little anymore) babies tucked up in their beds, and then put on my pajamas and had lovely dreams. As the mom, I need to recharge and refill my pitcher sometimes so that I can continue to keep all those metaphorical plates spinning. I had another mindfulness meditation opportunity yesterday, and it was equally lovely in its own way. I was out shoveling the snow off of the driveway and appreciating how I was physically able to do that. 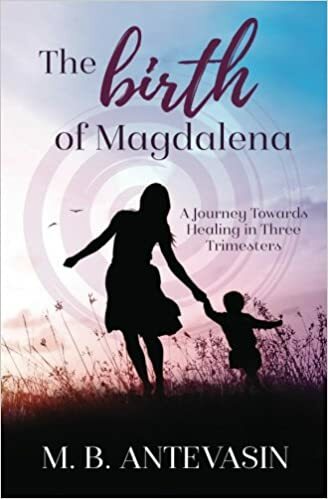 I share the whole long story in my second book Magdalena Moments and I describe all the steps that I needed to take to fully recover from my twin pregnancy, surgical birth and herniated diastasis so that I was able to take care of my own home and family. Every time that I shovel my snow or dig in my garden or carry my own groceries in from the car I remember how just a few years ago that was physically impossible. Every time that I get to say “yes” to playing with my kids instead of having to sit on the sidelines, I remember. And I send my gratitude to the whole journey. I know that I would never get to appreciate the beauty of these moments if I had not taken all of those steps. You don’t appreciate the light as much if you have never spent a long night in the darkness. It is not that I want you to ever have hard times. But I do think that we need to acknowledge that we all go through things. We all have phases where it just not easy. In those lonely moments, sometimes we need someone to remind us that we are not alone. We need someone to show us that they walked out into the light, and we can too. We need someone to remind us that often it is darkest just before the dawn. I have learned that when I am feeling alone and scared and doubtful, I need to reach out quickly to my support network, because otherwise I might get lost and take longer finding my way back. Winter is a great time for reflection and hibernation, but I need to make sure that I don’t slip into depression and despair. So I have worked on gathering my tools and techniques that get me through. I think it is important to share that just because I have some things figured out (usually that I learned the hard way), does not mean that I never have to go through anything hard again, it just means that I am getting faster at knowing when I need to call for help. And I am learning to trust that help is always there, it just usually does not look like what you are expecting. Taking in these moments is also a way for me to remember and acknowledge all of the emotional healing that I needed to do to be able to manifest these moments. All of those times when I was able to visualize a better future for myself, even if I had no idea how I was going to get there. But when I was able to learn to trust and to believe that I was worth it, then the details always seem to work out. I was able to find ways to bring in enough money to pay all of the experts (surgeons and carpenters and therapists and teachers etc. etc. etc.) that were there to support me, while creating a flexible enough schedule that let me be home to take care of my yard and my kids in the hands-on ways that I enjoy. I sometimes look at other people who are living lives that look like where I thought I was going, and I wonder why I left that path. But then I am reminded that I chose this vision and the universe supported me in putting all of the pieces together to get to this moment. Sometimes I don’t see the whole picture when I am just looking at the pieces of the puzzle and wondering whether some are missing or maybe some are here by mistake and actually go to a different puzzle. Some days I don’t trust. Sometimes I lose my faith. Some days it is so hard to just let go and let God. (The dark days of winter are the hardest. Add in some loss and some heartbreak and it can be even harder.) But then I am given these beautiful moments when I am reminded that the universe is working towards good. That there is a beautiful picture being formed by all of these pieces. Some days I can float and soak it in while soft, white glitter covers everything. I am probably refueling for another leg of the journey. Remembering all of those storms that I already weathered to get here, I know that I will be able to move through whatever comes next. I share my story with you in the hopes that you will be inspired by seeing some of the obstacles that I was able to overcome to get here, and I hope that it will help you to manifest some beautiful and empowering moments in your own life. Blessings on your healing journey. –Mb. Click HERE to Sign Up for the newsletter and be notified when the new book is available. Previous Previous post: The Season to Believe.